Hello blogging friends: I have another card to add to my MASCULINE stash, I made a point to have a good amount at hand for family and friends. 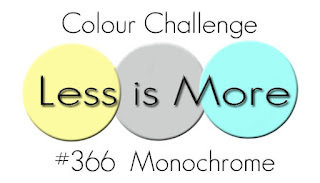 I'll link up to a few challenges at the end of this post. This images are from a Paper Tray Ink stamp and die set called Feather Finery, it has a companion die set that really comes in handy to cut this beautiful feathers. 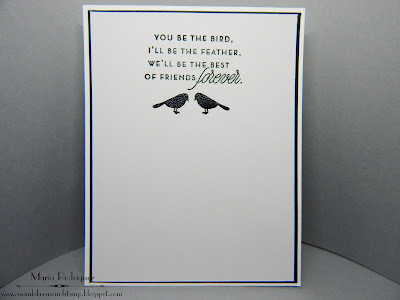 I stamped the big one on black card stock with Versamark ink and heat embossed it in white, I did the same with the sentiment and the little bird. 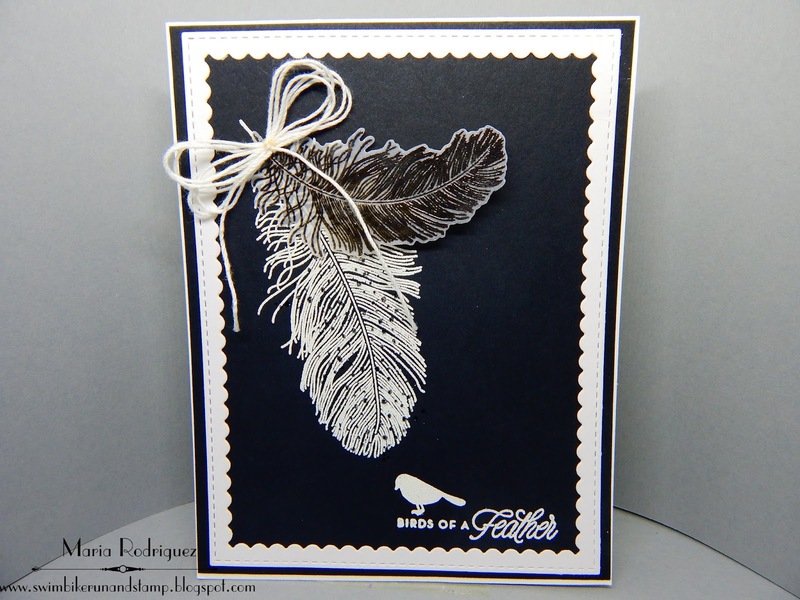 The small feather is stamped on vellum with Versafine black ink and heat embossed with clear embossing powder. I made a bow with a bit of white twine. 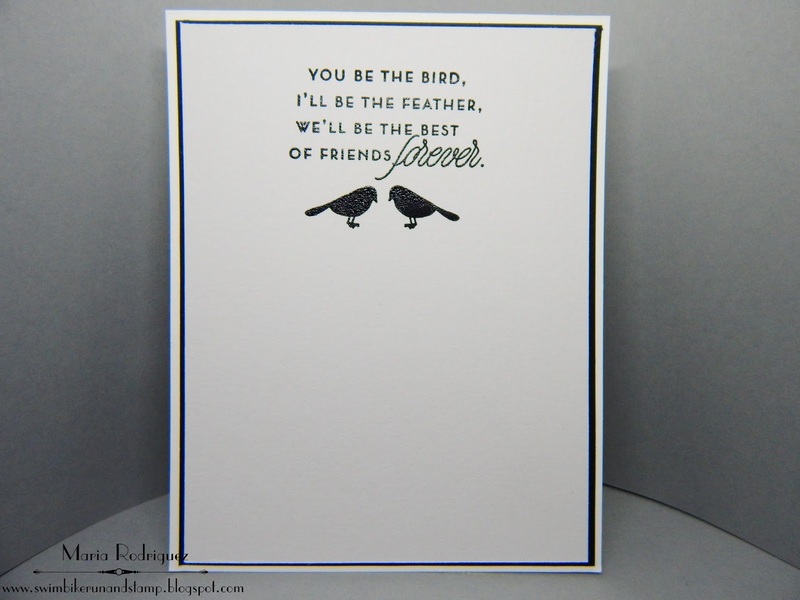 The sentiment and birds are from the same set. International Art and Soul Challenge #28 "Emboss and use a die"
My Time To Craft Challenge #365 "Monochromatic"
Crafter's Castle Challenge #3 "Anything Goes or Share your favorite Technique"
I love the look of HEAT EMBOSSING. Hello there blogging friends: My teammates and I over at SHOPPING OUR STASH have a new challenge for you to play with this week, our theme this time is DRESSES, we want to see dresses, formal or casual and everything in between so, go and SHOP YOUR STASH and come join us in our gallery, we can't wait to see what you create. 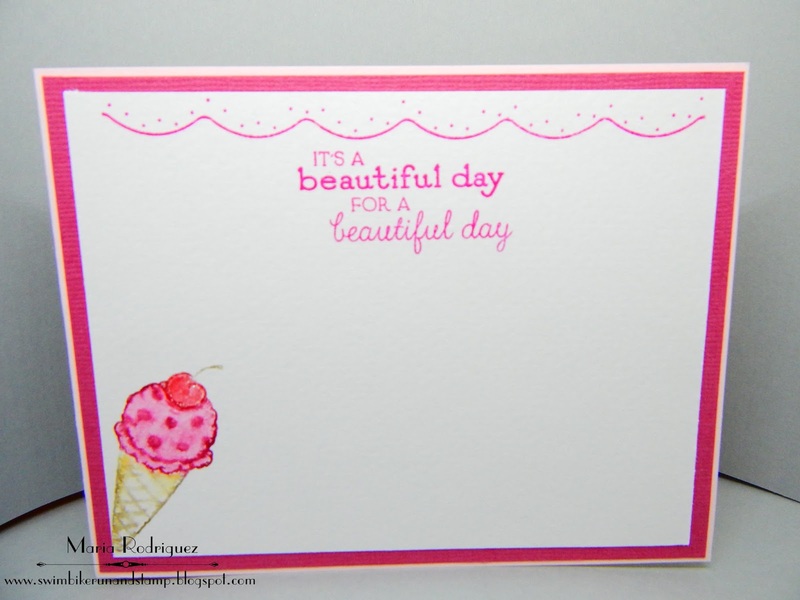 This card was made with one of my most favorite die sets from Stampin' Up, sadly retired but I bought it right when it came out back in 2013 in the Spring Mini. I only bought the dies because it's truly amazing the fabulous combinations and designs that you can get from them. I die cut this dress with black card stock and then die cut it again with some very bright electric pink glimmer paper to create a little jacket and the trim on the bottom, a thin piece served as a belt. It was pretty just as it was but I thought it needed a bit more bling so I added a "few" pink Rhine Stones to the top and the skirt. 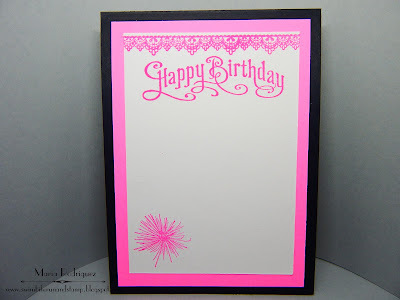 The embossing folder is from The Paper Studio, I added a die cut layer with pink vellum to kind of frame it a bit more, the sentiment is from a Power Poppy set called Marcella's Mix Tape Vol. 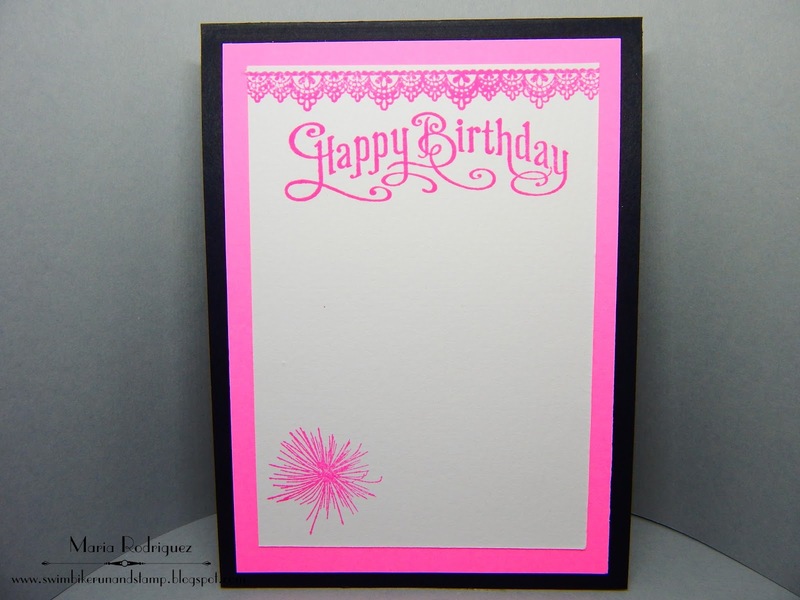 1, stamped with Neon Pink ink and clear heat embossed, then fussy cut, wish there was a die set for it. The sentiment is from a retired SU set called "Perfectly Penned" and the fireworks image from "The Ton" stamp set called Pyrotechnics, love this very realistic images of fireworks. The top lacy image is from a SU set called "Delicate Details"
So there you have it, hope you are inspired to come and play with my teammates and me over at the SHOPPING OUR STASH gallery, don't forget to check out their fabulous creations on each of their blogs for even more inspiration. 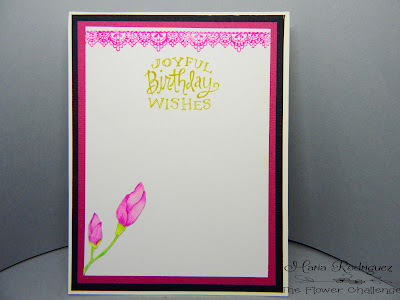 I love both heat and dry embossing. 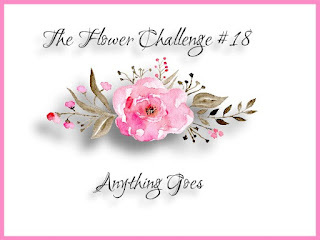 Just For Fun March Challenge "Die Cuts"
Hello dear blogging friends: I've been enjoying being one of the HOUSE MOUSE AND FRIENDS MONDAY CHALLENGE Guest Designers for a few weeks now and I'm having a blast. 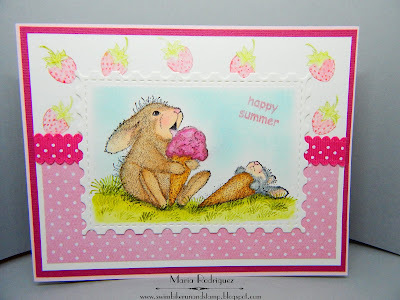 Today I'm using this stamp called ICE CREAM LICK from the other line of adorable critters called Happy Hoppers, this bunnies are so sweet and cute as you can see on my card. I stamped this image on a piece of watercolor paper with Stazon black ink and colored it with Sakura Koi watercolors and a bit of Prismacolor pencils for shading. The pattern papers are from a retired line from Lili of the Valley, the ribbon from my stash and the stamped strawberries from a retired Flourishes set called "Strawberries". The sentiment is from a Power Poppy set called Best Day Ever and the ice cream from a retired set from Flourishes called "Pinwheels and Popcicles", love all of these yummy and beautiful images. Penny Black Challenge "Feature a Creature"
Crazy 4 Challenges Create a Dessert card. Creative With Stamps Challenge #24 "Bunny"
Hello everyone: One of my New Year Resolutions was to build up a good stash of Holiday cards, not only Christmas but Thanksgiving, Halloween, Patriotic, Valentine's Day to mention a few so, here is my very first Thanksgiving card for this year, I will link it to a few challenges at the end of this post. This image is from a SU set called "Painted Harvest" from the 2017 Holiday catalog, love this layered set, all of the images are beautiful and so easy to stamp. 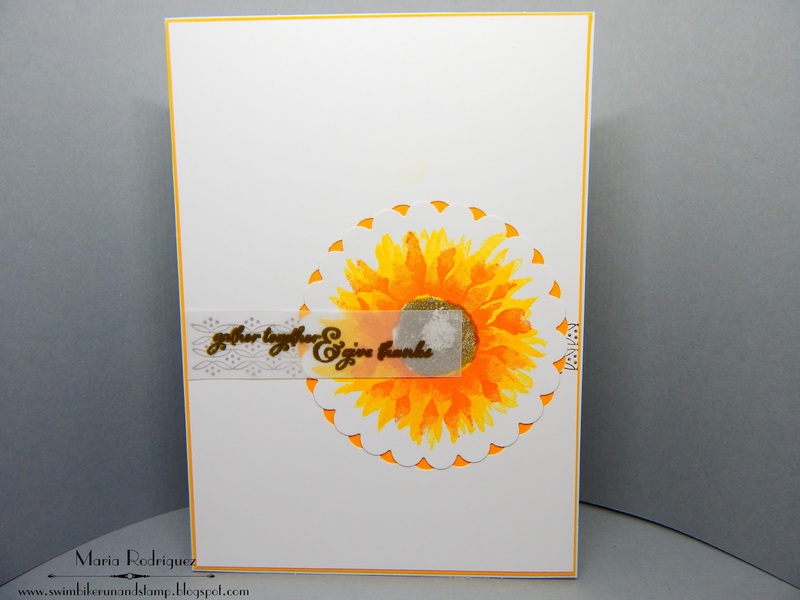 I stamped the flower with Daffodil Delight and Tangelo Twist, the center with Early Espresso marker. 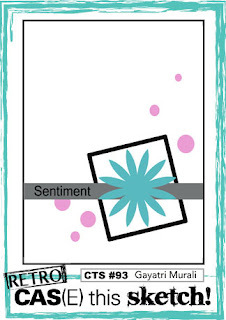 The sentiment is from the set and was heat embossed on vellum with gold powder, the detail on the side is from another SU set called "Fresh Vintage" from the 2012 SAB catalog. 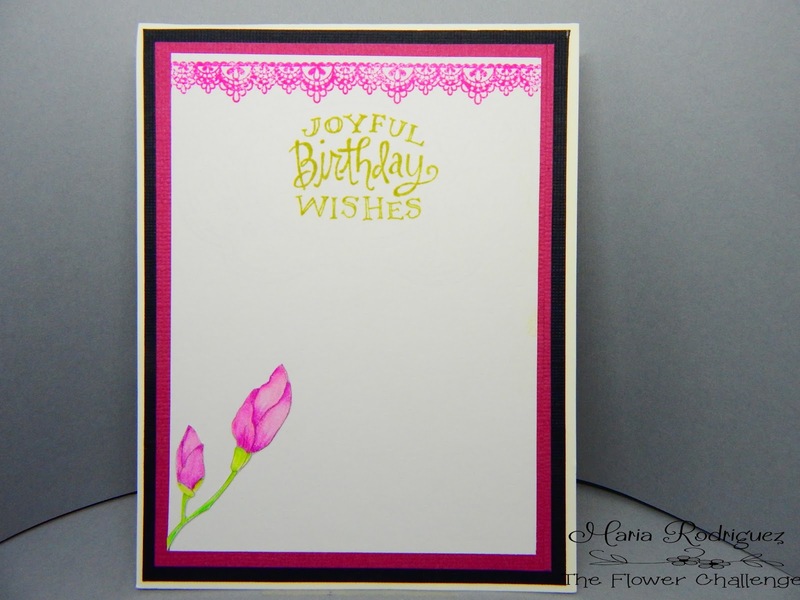 The detail on the top was stamped with the "Bordering Blooms" from SU, the sentiment and the leaves are from the Painted Harvest set. 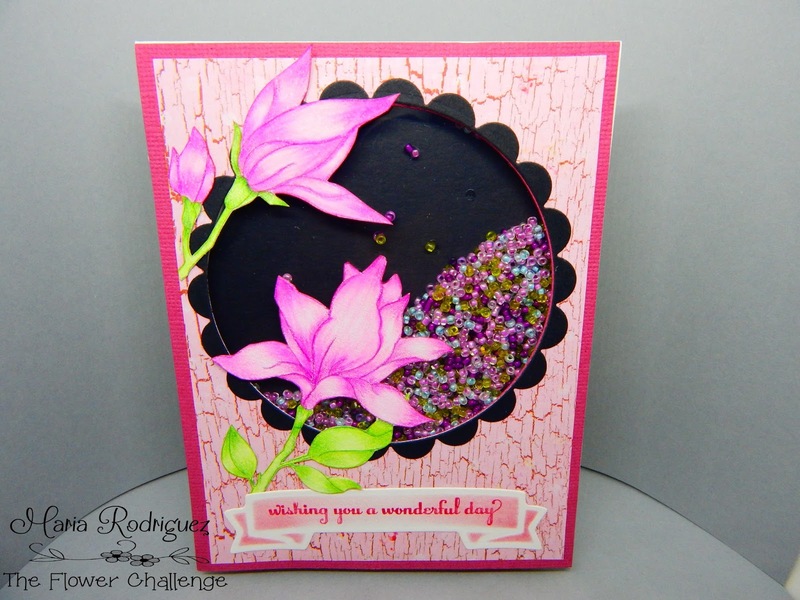 Poppy Stamp Challenge #42 "CAS"
SheepSki Designs Challenge #12 "Flowers"
Sparkles Monthly Challenge #101 "CAS"
A Perfect Time To Craft Open Challenge #3 "Anything Goes"